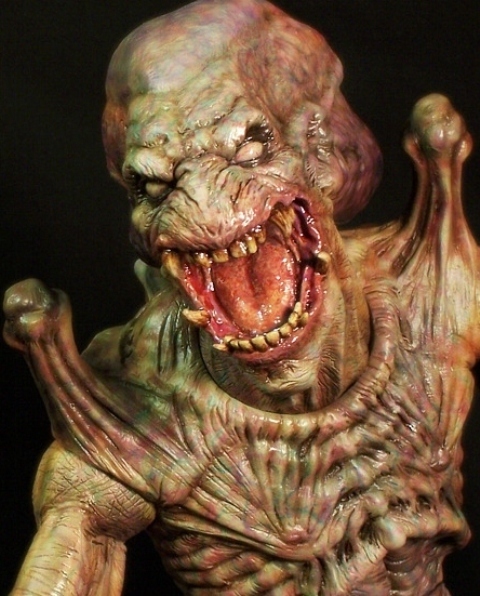 Ode to PUMPKINHEAD: One Hell of a Great ’80s Monster! This Saturday’s Svengoolie is sure to be a special event here in Chicago. 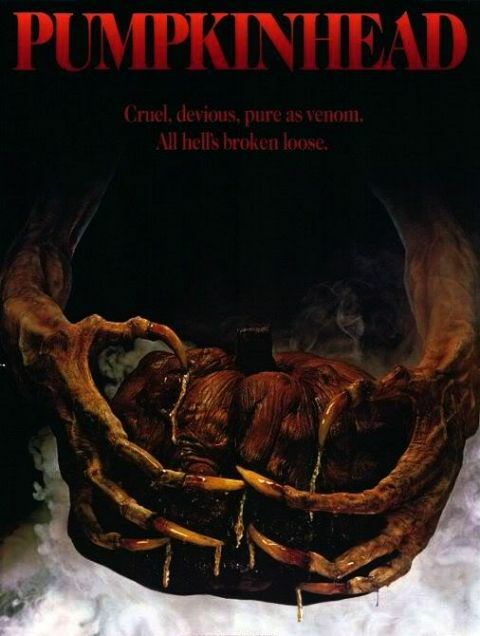 Not only does it mark an all new episode of Sven (after weeks of summer re-runs) but also an airing of one of my favorite monster movies – PUMPKINHEAD. This is a film I have loved since it’s original release back in 1988. After my parents divorced, my mother instituted a weekly event called “family night.” My two siblings and I thought it was the corniest concept ever but, looking back, it does evoke some fond memories. At the time, however, it was torture. Usually instituted on a Friday night, we couldn’t go out with friends and had to spend the evening together (which was always interesting since my brother, sister, and I historically got along about as well as cats and dogs). On some of these occasions, we would go out together for a movie. Since my sister was eight years my junior, it was rarely anything a teenager, like myself, wanted to see. 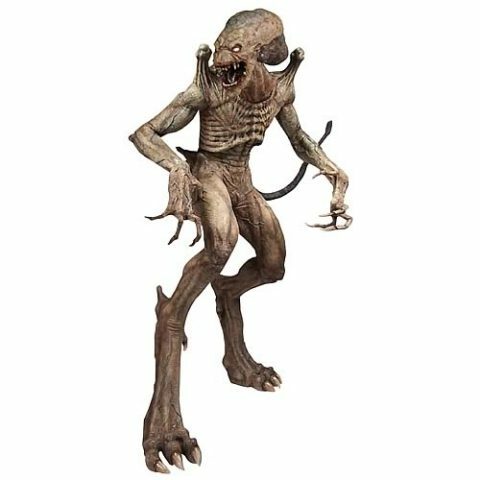 I’ll always remember PUMPKINHEAD as being one of the few instances where my mother threw “Parental Guidance” to the wind and actually took us to see something cool (even if I would’ve rather seen it with my friends). 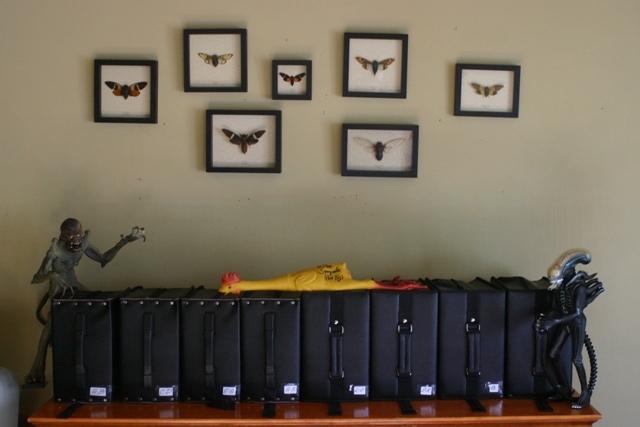 Weeks prior to its release, I remember anxiously reading about it in “Fangoria” Magazine. While slashers and aliens were prolific back in the 80’s, good old fashioned monster movies were not. 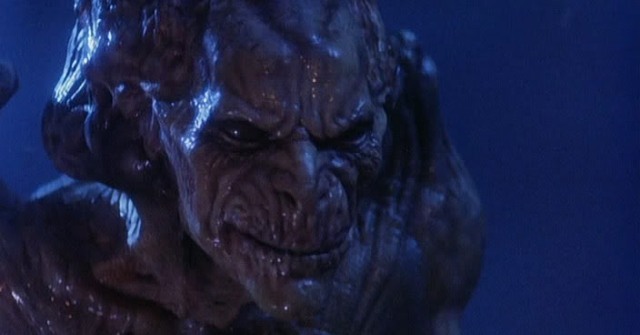 Being a big monster fan, PUMPKINHEAD’s release was a true event for me. Whenever I’d hear the film’s trailer playing during commercials, I would stop whatever I was doing and run to the television to watch. I was not to be disappointed. 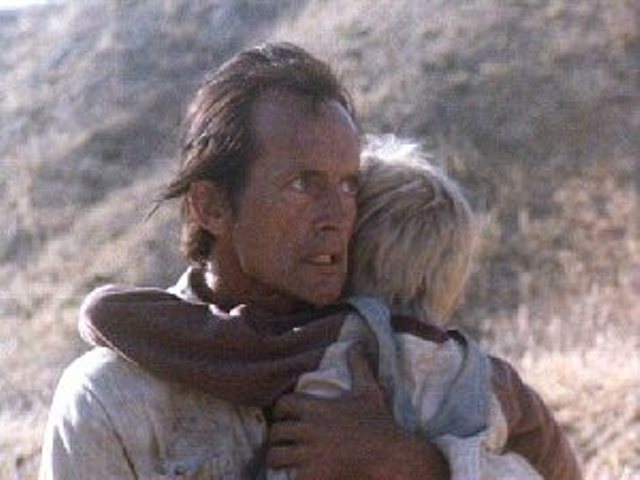 Lance Henriksen gives one of his best performances as the gentle, backwoods store owner, Ed Harley, who loses his beloved son due to the shenanigans of a group of reckless (and highly annoying) teenagers. Filled with rage, Harley seeks out the assistance of an old hag (one of the most convincing portrayals of a modern witch in my opinion) who can assist with his vengeance. Via the aid of her dark powers – she conjures a demon of revenge from a cursed pumpkin patch. 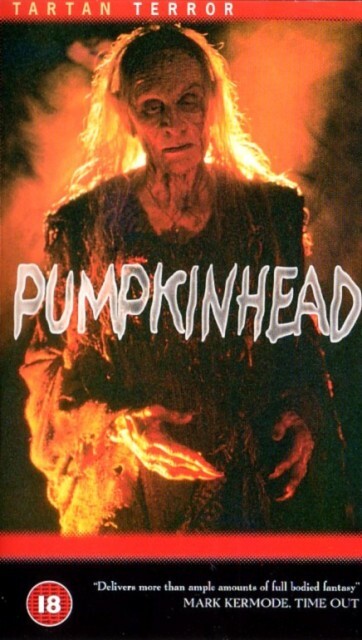 The old Hag is the cover Ghoul for the film’s European VHS release. Henriksen does well at eliciting viewer sympathy regarding the loss of his son and willingness to sell his own soul to avenge him. It can, however, be argued that the actor who plays his son is so gratuitously cute (with his coke-bottle glasses and “aw shucks Daddy” innocence) that he didn’t have to work all that hard at it. Even the the most pacifistic viewer would crave Charles Bronson-like vengeance against anyone who’d hurt this kid! Of course, much the success of any monster film rests on the monster itself and legendary creature effects artist, Stan Winston, serves up a winner. This pre-CGI beasty can stand up to most any modern monster of late, including it’s own post-CGI (and god-awful) sequels! As the monster continues his killing spree, he begins to develop the features of Henriksen himself, demonstrative of his own gradual damnation. The monster is further enhanced by the eerie mountain landscape, one of the most atmospheric I’ve seen to date. There are few people that would want to toil in that pumpkin patch – even if you were with a group of friends! I loved the film back in 1988 and continue to enjoy it today. It was one of my first DVD’s purchased when the “new” format was available and I ended up buying it a second time upon it’s more recent, and long overdue, WIDESCREEN release. 70 year old Henriksen was a Class Act! Pumpkinhead joins The Alien in watching over my horror DVD collection. 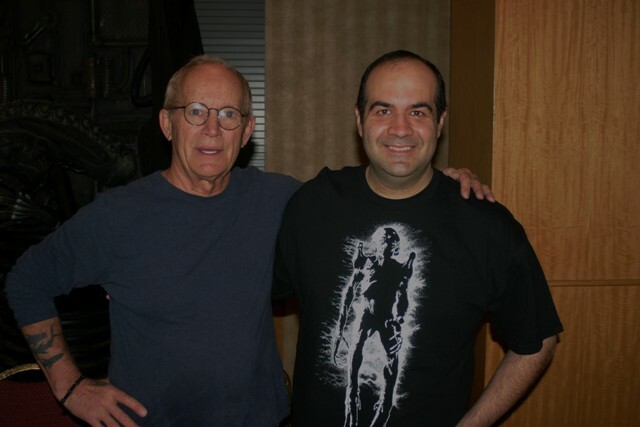 This entry was posted in Big 80's Horror!, Monsters, Movie Reviews and tagged ALIENS, Fangoria, Flashback Weekend, Horror Host, LANCE HENRIKSEN, Pumpkinhead, Sigourney Weaver, Svengoolie. Bookmark the permalink. ← Zombie Films: Has George Romero lost his Bite?